After departing the marina, we’ll start our day with a sail past Šolta, Brač, Hvar and Vis, taking in the stunning scenery from afar before we arrive at the island of Biševo, home to the Blue Cave. We will disembark our speedboat a short distance from the Blue Cave. As the entrance to the Blue Cave is a short 1.5 meters high, we will join the local Blue Cave tour operators and enter the Blue Cave on small boats. 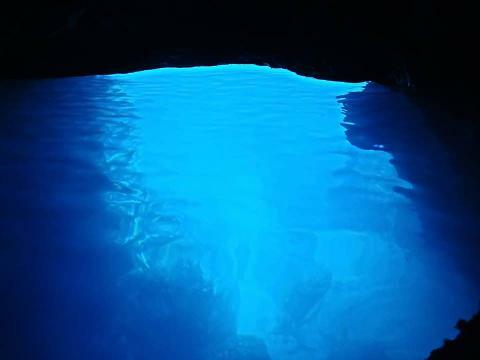 You’ll be stunned by the brilliant, glowing blue waters, illuminated by sunlight reflecting off the white limestone seafloor beneath the cave. Unfortunately, swimming is not permitted in the Blue Cave. 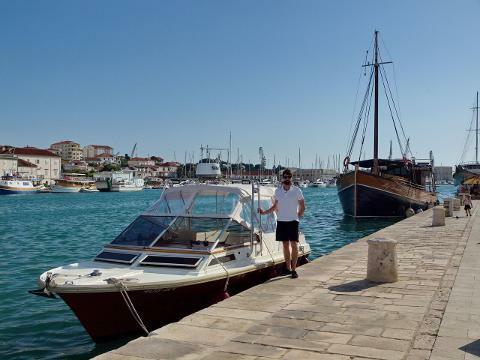 When we’ve had our fill, we’ll sail past the southern coast of Vis and reach the Pakleni Islands. Here, you’ll have the opportunity to stroll along the pristine beaches. Stop into the local restaurant for a snack or a drink (at your own expense) or go for a hike to explore the island’s unique foliage and rippling coastline, just in front of the island of Hvar. On the journey back toward Split, we’ll stop for another swim or snorkel in crystal clear turquoise waters. Our final stop will be to the island of Šolta, where we’ll visit a beautiful cove and have another chance for a quick swim before returning to Split.